The Beatles arrived in the United States on February 7, 1964, and immediately became a constant, compelling presence in fans’ lives. For the next six years, the band presented a nonstop deluge of sounds, words, images, and ideas, transforming the childhood and adolescence of millions of baby boomers. “Beatleness: How the Beatles and Their Fans Remade the World” explains how the band became a source of emotional, intellectual, aesthetic, and spiritual nurturance in fans’ lives, creating a relationship that was historically unique. Looking at that relationship against the backdrop of the sexual revolution, the Vietnam War, political assassinations, and other events of those tumultuous years, the book examines critically the often-heard assertion that the Beatles “changed everything” and shows how – through the interplay between the group, the fans, and the culture – that change came about. “Beatleness: How the Beatles and Their Fans Remade the World” is definitely not another Beatles book. It is not another classic biography of the Fab Four, recounting the facts and restating the obvious. Candy Leonard’s book is truly a scholar’s work: a comprehensive sociological study analyzing the entire Beatles phenomenon in the USA, along with its premises and its effects. A generational memoir and cultural history based on hundreds of hours of in-depth interviews with first-generation fans, “Beatleness” allows readers to experience – or re-experience – what it was like to be a young person during those eventful and transformative years in America. And more than an analysis of Beatle fandom, “Beatleness” is an amazing cultural history of growing up in the sixties. Candy Leonard is a first-generation Beatles fan, being among the 73 million people who watched the Ed Sullivan Show on February 9, 1964. She was seven and a half years old then, but she clearly remembers the historic show and the American excitement in the weeks following the broadcast. Her passion for Beatles turned, over the years, into this fascinating book, one of a kind. “I’ve read many books about the Beatles over the years – starting at age twelve with Hunter Davis authorized biography – and at some point I realized that, for the most part, Beatle scholarship is a conversation among male observers. It’s ironic that the fan voice and the female voice are so underrepresented”, Candy Leonard writes. 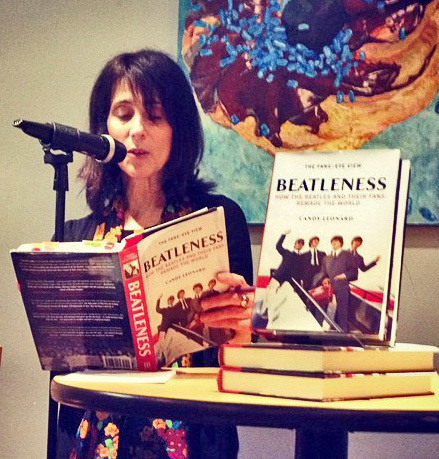 Consequently, “Beatleness” is a new strong voice on the Beatle book market – the voice of the fans which were the roots, the stamina and, overall, the essence of the Beatlemania. I must confess I started listening to the Beatles in the 2000s, but I could’t name myself a third-generation Beatles. Because in my Central-European part of the world, our grandparents were not able to listen to music or watch television as they liked. For instance, in the ’80s, at the height of the communist regime, TV broadcasting was reduced to 2 hours per day. However, not having grandparents exposed to the so-called “Western European music” and having parents keen on the disco music of the ’80s, mostly listening to the European superstars ABBA, I was an autodidact Beatles fan. Can I call myself a modern first-generation Beatles fan? I guess so. When I first heard their music, I was mesmerized, bewitched by such a powerful vibe, such a good energy, that kept me listening to their tunes for weeks. Day by day, I discovered new songs, I read articles, I saw on YouTube videos, public statements and parts of the movies. I was thrilled! There are no Beatles concerts today, no new Beatles albums, and I can hardly catch a glimpse of Paul or Ringo at TV these days. But the Beatlemania captured me with no escape. So I asked myself why this phenomenon is so powerful for me, even today. Candy Leonard’s book was the first to give me an answer: this compelling study evaluates the facts that led to the “mania” – the context (social, political, cultural), the music, the lyrics, the magnificent band seen as a whole, but formed by four inspiring individuals, their wit, their charm and their way of shaping the trends year by year. Some may justify the Beatlemania using the “Kennedy Rebound Theory” (the Beatles boosted the national spirit after the assassination), but I know it’s more than that. Reading this book, I was fascinated to enter the American households and watch the Beatlemania from inside: what parents thought, what kids liked, what teenagers felt, what boys hoped for, what girls dreamed of… in the America of the ’60s. The book offered me a vivid sense of the atmosphere in those days, the one I longed to know and I couldn’t live. I found out that after the Ed Sullivan show, everything changed: hair, clothes, color, taste, habits, hobbies, values, perspectives. The Beatles brought along a new kind of male fantasy, a new type of boyhood camaraderie and a completely new concept of music idol. The US just couldn’t get enough of British culture and shouted it out loud. Nonetheless, it’s the first time in modern history when the audience actually screams with delight when seeing their favorite act. “Beatleness” is definitely a must-have for a wider audience than you would expect: for Beatles buffs, for Beatles fans having a more holistic approach, in search of depths and insights, for oldies nostalgics, for ’60s enthusiasts and for sociologists eager to find a stunning work. 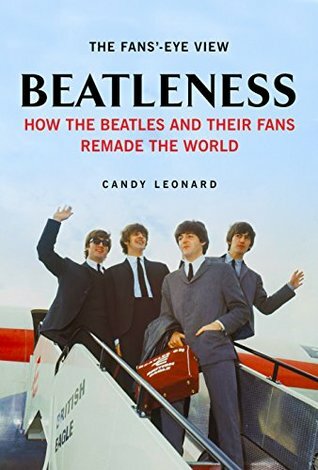 Candy Leonard is a sociologist, Beatles scholar and author of Beatleness: How the Beatles and Their Fans Remade the World. She has spent years studying the effects of popular culture on human development, gender relations and family life, and is a qualitative research consultant to the healthcare and entertainment industries, with a focus on boomer issues. She currently resides in Cambridge, MA. Visit her website Beatleness.com. The year Candy was born, Elvis Presley released his first hit record, Allen Ginsberg’s Howl was published, and Soviet troops crushed rebellions in Poland and Hungary. Candy Leonard grew up in a progressive and politically engaged household in Queens, NY, and, as a precocious and inquisitive young person, witnessed the transformative events of the 1960s, including the Beatles.